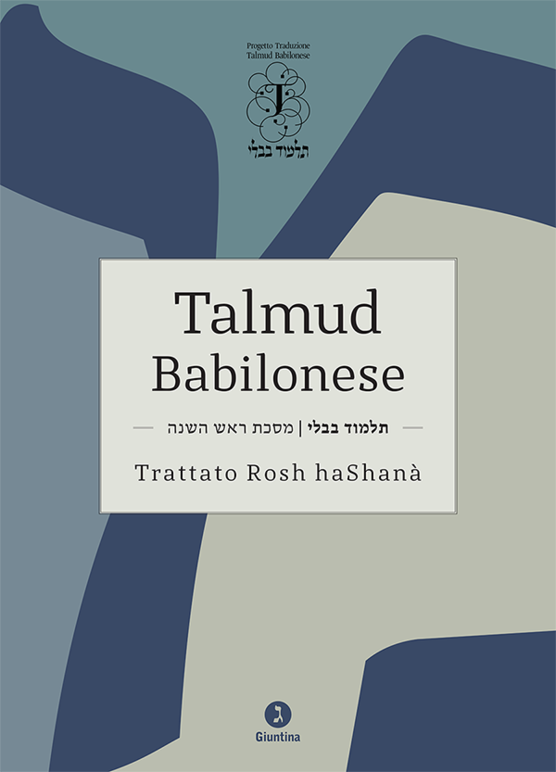 First installation of the Progetto Traduzione Talmud Babilonese (PTTB). Image courtesy of the PTTP. During my course selection for this semester, I did not anticipate that the break I planned between my two Tuesday classes would allot me the perfect amount of time to partake in a five-course Italian luncheon and press conference. Luckily, it did, and I found myself seated at this unlikely event centered on a topic so obscure that I had to read the invitation multiple times to guarantee that I understood it correctly. This was a press conference for the Progetto Traduzione Talmud Babilonese (Babylonian Talmud Translation Project), the first ever translation of the Babylonian Talmud into Italian. Somehow, the PR firm representing the project found out about The Current and invited us to their press conference, and so there I was. I feigned invisibility while seated between “real” adult reporters, learning more about computational linguistics than I thought possible while simultaneously eating ravioli. Though I entered the restaurant wondering how I would find this project relevant and interesting, I left with a heightened knowledge of a relatively small Jewish community, and how its determination to strengthen its connection to the Talmud signals a larger paradigm shift in Talmudic culture. The Italian Jewish community comprises around 25,000 people among a general population larger than 60 million. The fact that a community of this size would endeavor to translate the Talmud into their native tongue is inherently shocking, even more so when considering the methods they have chosen to utilize. Headed by the Chief Rabbi of Rome Riccardo Di Segni and Professor Clelia Piperno (a law professor at the University of Teramo), the Progetto Traduzione Talmud Babilonese (PTTB) decided to develop a computer program capable of a wholly original translation, adding further difficulty to an already daunting challenge. In order to craft and operate this software, titled TRADUCO, the PTTB has received 11 million euros from the Italian government to fill what Professor Piperno describes as a “hole in Italian culture.” When the TRADUCO team moves into their government offices, their mezuzah will be the first hung in an Italian public establishment. Among the world’s smaller Jewish communities, Italian Jews have historically pioneered new media of access to the Talmud. Outside of Babylon itself, Italy was the place where the Babylonian Talmud took its most important step forward after its compilation: its foray into the world of printing. This enormous and complex text was printed in its entirety for the first time by a man named Daniel Bomberg in 16th-century Venice. Although this development exponentially expanded the Talmud’s accessibility to so many Jews, eventually turning it into a household staple for the pious, it still remained comprehensible only to those who were trained in Hebrew and Aramaic. Perhaps it is fitting that the country that fostered the Talmud’s first foray into print now intends to push its accessibility even wider, aiming to translate this book to the vernacular through a method which has potential to extend its scope to communities it could not previously reach. Possibly the most unique facet of the PTTB is the manner in which it uses modern technology to approach this formidable ancient text. In fact, this project marks the the first time that people have attempted to conduct an entirely new translation solely through computer science, and the first time a text as enormous as the Talmud has been translated through a mostly digital approach. It certainly would have been easier to use a computer to translate from existing Hebrew or English translations, thereby avoiding rehashing complicated interpretive decisions. However, the PTTB chose a larger challenge, aiming to create a community of Italian translators and also to make these translating tools available to other Jewish communities. This software, once perfected, will be able to translate the Talmud into other languages, providing an invaluable resource to other Jewish communities who will finally gain access to the Talmud for the first time in over a thousand years. Even within communities that have had more complete access to the Talmud over the centuries, it has not been until recently that all members were allowed to involve themselves in Talmud study. The decades-long process of increasing the availability of the Talmud has only recently spread to women in Modern Orthodox communities. Only since the 1970s have women in these circles taken ownership over this text, previously restricted to the few learned men in their communities who could decipher its complex, archaic Judeo-Aramaic parlance. The PTTB has already achieved astonishing success. The book has sold more than 10,000 copies in the year since its first installation, Tractate Rosh Hashana, was published. Given the size of the Italian Jewish community, this number signifies that there must be a demand for this text outside of the Jewish community. This provokes the obvious question: why do thousands of Italian gentiles want to read a book that engages in lengthy discussions of which horn shapes are permissible for the shofar and the order in which their sounds must be blown, among other ephemera? As Professor Piperno indicated in her speech, this curiosity may be attributed more to the logical reasoning that can be deduced from the Talmud than to its exact contents. Several institutions, including a university, have already approached the PTTB looking to craft curricula that teach Talmudic reasoning. However, this should not discount the impact that the content of these volumes may have on non-Jewish readers. For example, the PTTB’s commentary has been designed with an awareness of passages historically used in anti-Semitic contexts, and attempts to contextualize such statements for readers unfamiliar with the subject matter. That the Talmud, for so many years the focal point of anti-Semitic acts against Jewish communities, can now be used to combat such ideas, indicates quite the historical reversal. A couple of weeks after I attended the Progetto Traduzione Talmud Babilonese presentation, I found myself in a Talmud lecture. As I read one of the sources, a section of the Talmud discussing whether a particularly controversial levirate marriage would be permissible, my mind began to wander. I found myself internally attempting to formulate a means of explaining to any of the fourth-century rabbis quoted in this passage that one day a foreign government would give money to a group of people so that they could instruct a machine to convert a compilation of their teachings into a language that had not yet been invented. I concluded that it would be exceedingly difficult for the conversation to proceed past that point. The vast societal, cultural, and technological changes since the Talmudic period would be difficult enough to convey. Their shock would be compounded by the multitude of serendipitous factors that converged in order for this project to succeed: enormous technological innovations in the realm of computer science, the relative comfort of world Jewry, and the position of women in both Jewish and secular society. The PTTB has managed to capitalize on the incredible time in which we live and promises to push the Talmud further into the future, allowing us to continue gaining new insights from an ancient text which has yet to fail at yielding newfound relevance. //Estie Berkowitz is a junior in Columbia College and a Contributing Editor to The Current. She can be reached at arb2239@columbia.edu.